Topic: Permissions (Remake) - Sticky this in favor of old. This is to replace the aging thread - now it can be altered as you wish. Post in this thread if you wish to have a policy change, or a note in the policy. Should a model be a kitbash or a retexture, make sure to consult the policy of the person of which the original was made, and follow suit. These are general rules, some people have deals with individuals - these are not reflected here. Re: Permissions (Remake) - Sticky this in favor of old. Thanks for the sticky Mr. Mod. Redragon has open permission for his work too. 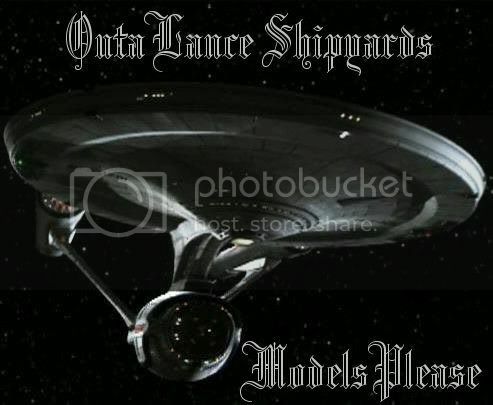 Does that include the ships from Trekmods? There is the utter east." I just recently started making models. Could you please put me in the "notify" group? WB King !!!! Where have ya been hiding ? Move me to the "Ask Permission First" group please. But ... if you would sir, place me in catagory 1 .. (credits ) please. Fury. Please could you change my entry to that under requiring permission before usage. Thanks muchly. Page created in 0.425 seconds with 33 queries.